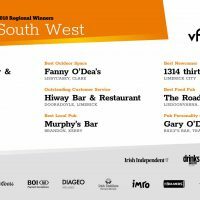 Some of the finest pubs in Counties representing the East Region are celebrating following their success at the 2018 Irish Pub Awards Regional Finals, which took place in Lock 13, Sallins, Co Kildare on 19th September 2018. 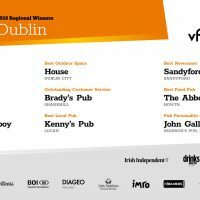 All nine winners will now go forward to the final of the National Pub Awards at the RDS Concert Hall in Dublin 4 on Wednesday 21st November when the National Category Winners and the overall Irish Pub of the Year will be announced. 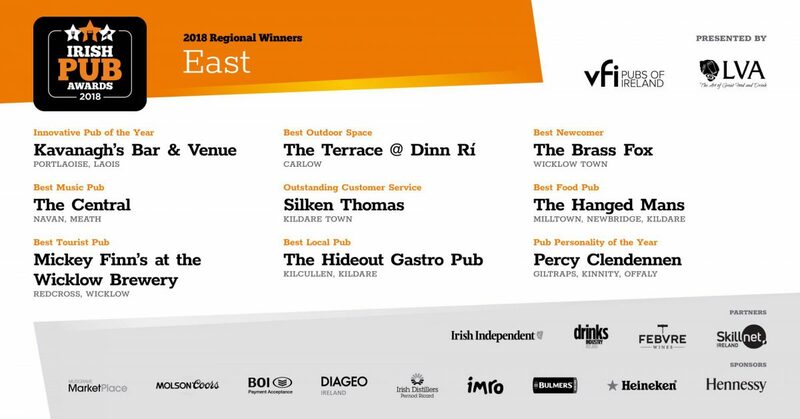 Best Food sponsored by Musgrave MarketPlace: The Hanged Man’s Pub, Milltown, Newbridge, Co Kildare.